Know How Your Website Structure Can Impact Your Business Sales? Growing your small business into a sustainable venture will often require you to play many roles at once. You are the accountant, salesman, marketer, and entrepreneur all wrapped in one. With all these things going on, it is paramount to look at the bigger picture so that you can retain a sober mind and not get overwhelmed. However, it is easy to overlook the ‘small’ details such as how good is your website structure? After all, you have a functioning website; its prettiness is the least of your concerns. A good website design, however, is more than just about looks. The design of your site is what speaks volumes about your business at first glance. It will inspire confidence because of its professional image and set you apart from your competition. If you let optimize it, your website could be your most trusted weapon in your arsenal of revenue generating tools. But what makes a good internet site? Here are the characteristics of a good site and how you can use them to your advantage. Even though the website should have an above par design, the visitor should have a smooth experience using the site. Keeping a consistent layout throughout the website while adding navigation tools and convenient buttons will make it handy while the user is browsing through your site. This ease of use will encourage the visitor to spend a little more time on your website. Also, avoid using corporate speak or advanced vocabulary as it looks like you are intimidating the users. The whole purpose of the site is to attract visitors and gain potential customers in the process. Hence, you should optimize the website for search engines. Ensure that you keep yourself aware with the keywords that your clients are likely to use and incorporate them into your site terminology. You should consider learning the basics of SEO or hiring an SEO agency to increase the traffic to the website. One of the most common mistakes with most small business owners’ websites is that they fail to be responsive for mobile browsing. That could prove to be a costly mistake because mobile browsing has surpassed desktop browsing if we talk about the number of users. To avoid this, you should consider optimizing the website for mobile browsing as well. Hence, making it friendly for small screen devices. Looks do matter to a certain point, and that is why an aesthetically pleasing site will appeal to potential customers. One of the biggest challenges to website designers is finding appropriate and high-quality images. However, it is not difficult to find free stock photos that can boost the aesthetic appeal of your site. It is important to mention that you need to check yourself not to go overboard; each element of conception needs to serve a purpose. Getting carried away and employing too many styles could prove to be counterintuitive. What’s the purpose of having a website if it cannot allow your users to share your product on their social media pages? Social sharing is, of course, an excellent way to boost traffic to your website. Employ the use of these tools on your sites (NoPassiveIncome is using Warfare plugin for the social sharing buttons feature and much more!). 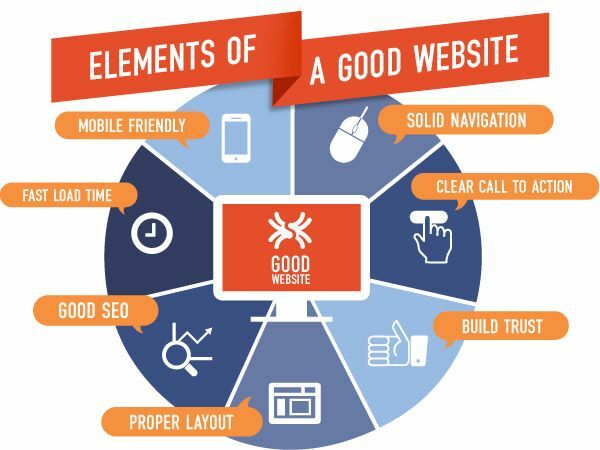 We’ve seen the characteristics that a good website should have. 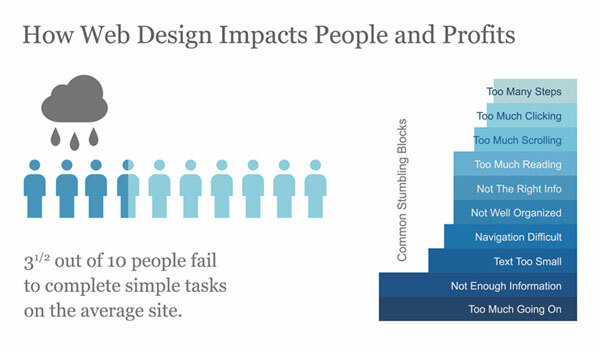 So what benefits do properly design websites reap? A quality design will be unique to your business thus forming a brand. Your brand will then flow to other outlets such as social media, business cards, and logo. Easy identification of your brand is important because a user might go to your page and leave without interacting with you. If they do remember something about your product and they happen to have forgotten your site’s name, it is in your best interests that they can quickly identify your brand. A good web design which is easy to use and has good content is more than likely to have a high user to client conversion ratio. People do not like to waste time on web pages that are giving them a difficult time loading or are unprofessional looking. Eliminating these flaws will attract more visitors to your page. The problem with many business websites within one industry is that they look too similar, post related content, and target the same market. For your business to be profitable, it needs to make a lot of sales. You can accomplish this feat only if you get significant traffic trickling into your website. You will only achieve this if your site stands out from the pack. A quality website design will see this happen. A good design incorporates appropriately placed the call to action features. This will help in converting casual users to customers. As stated earlier, your brand is one of your most valuable assets. It will take years to develop the brand up to a point where it takes on a life of its own. Of course, the brand identity must be appealing for it to be accepted by the masses. That will highly impact your business’ value especially if you decide to sell it. For instance, Apple’s brand estimates at $154.1 billion, and this is probably a lot more than what the company is worth. That goes to show how a good website design can make you a brand that is of great value. A good website design has flow. The content is where it is for a particular reason and use. Content optimization for websites is a skill that enables content to sell to the audience without appearing to be forced on them. The problem with not having invested in website design is that your page will look like one big sales pitch and this will tend to push people away. A good web design is simple, practical, and professional; following these attributes will draw an audience to your business. Try optimizing the website structure in a way that gives the user an excellent interface and a great experience. sales to the double People like to visit those sites which are faster and the things are easy to get there. Too many crafting can lead to the poor performance and less amount of traffic. are more engaged to browse the Internet rather than from the desktop and laptops. Thanks a lot for sharing these tips among us. Thanks for your comment, Shantanu! There is no doubt that website structure (in the way of design or code) helps you increase sales and ranking in search results. The experts are more interested working on user experience that’s why there are many services available that give perfect landing pages that help you in increase conversion. The above list is great. Thank you for sharing an informative article with us. Thanks for the positive feedback, Rajinder. Helen provided some good points here.